The Pennsylvania primaries will finally be here tomorrow, Tuesday April 26th. If you are a Republican, voting for your favorite Presidential candidate is slightly more complicated than just choosing Donald Trump, Ted Cruz, or John Kasich. The Pennsylvania Republican party sends 71 delegates to the convention in Cleveland. Only 17 of those will be determined by the popular vote. They will be committed to that popular winner for the first vote at the convention. The other 54 delegates are directly elected by the voters, 3 in each of the 18 congressional districts. Those delegates are uncommitted and can vote how they wish. Many of those delegate candidates have made their convention voting intentions known. Some have pledged support for specific presidential candidates. Others say they will support whoever wins the popular vote in their district. You can contact the presidential candidate's campaign offices to find out which delegates are endorsed. 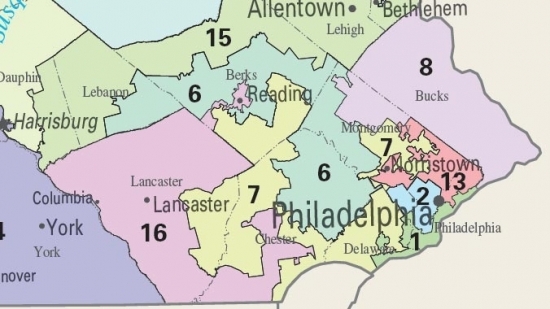 Find a listing of all delegates running in congressional districts around Philadelphia below and their purported voting intentions.